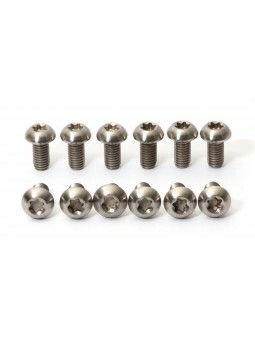 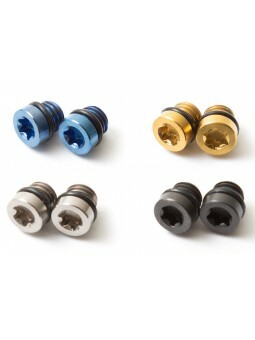 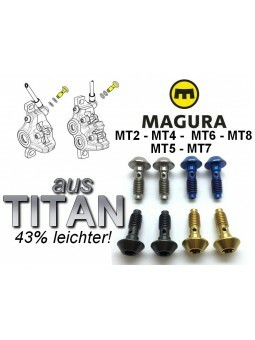 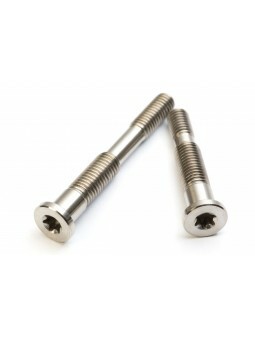 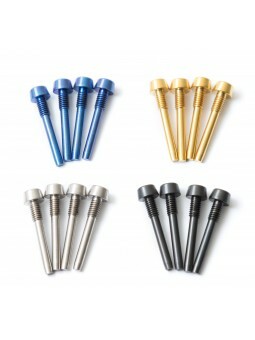 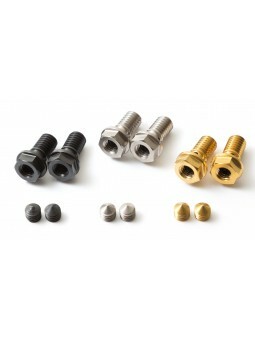 2 Bleed screws und 2 bayonet screws + 2 o-rings.3 Color on Choice: Nature, Black and Gold anodised. 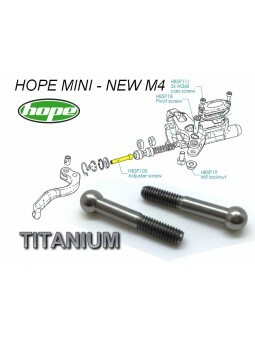 Fit Hope M4 und Mono Mini with O-Ring (exists also with pitch). 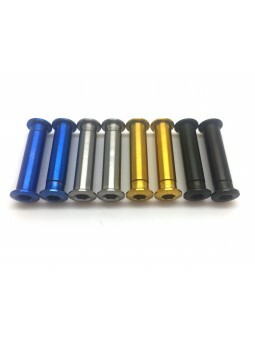 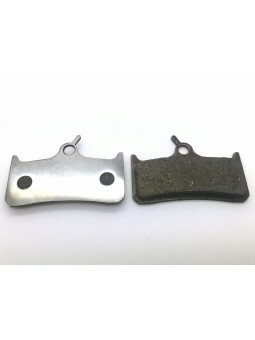 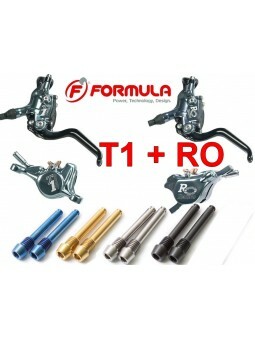 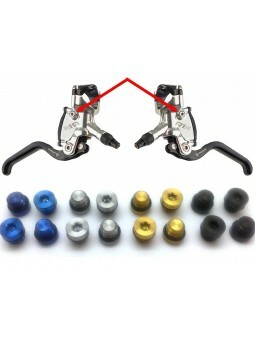 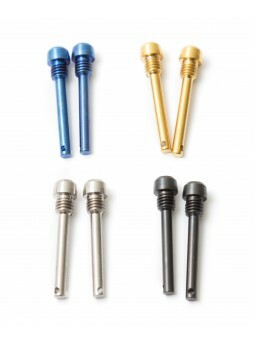 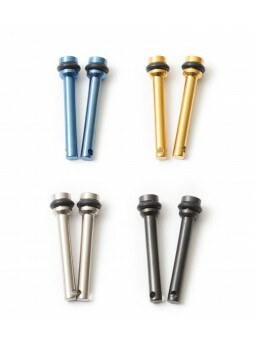 Available in 4 colors on choice: nature titanium, black anodised, blue anodised or gold anodised. 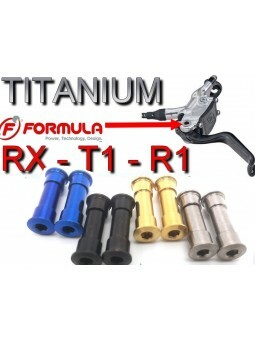 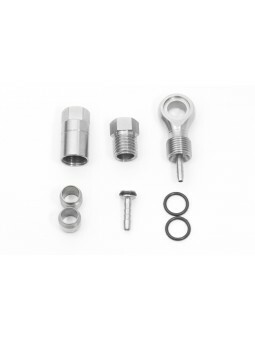 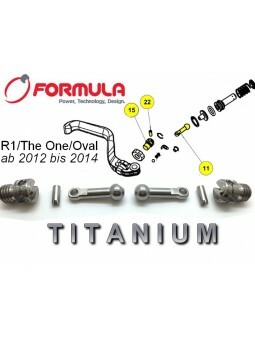 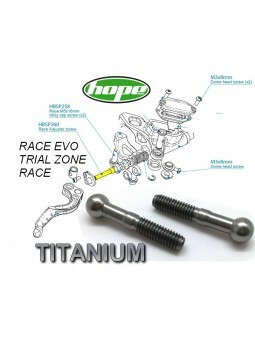 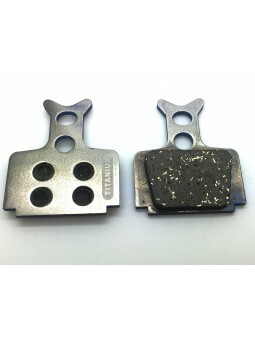 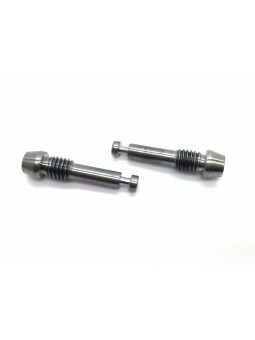 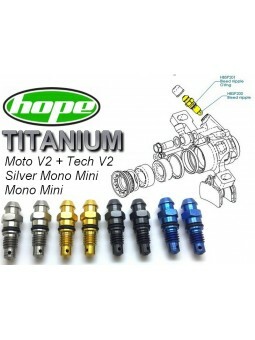 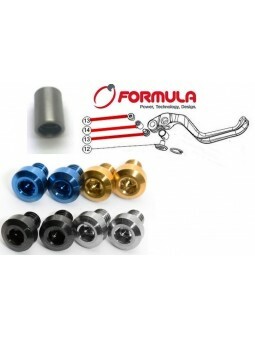 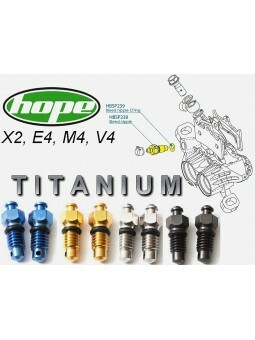 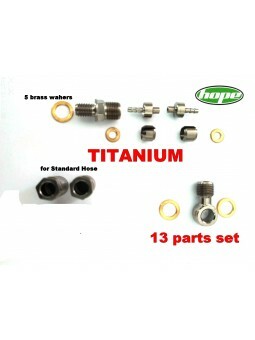 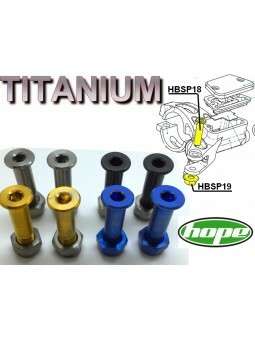 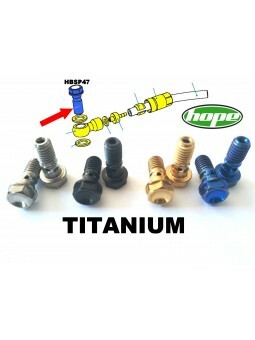 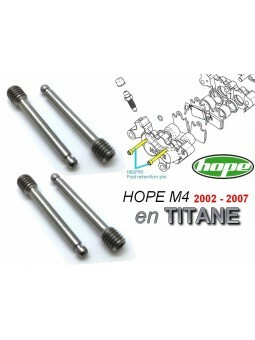 4 pins in titanium for Hope brakes M4 2002 to 2007 - 43% weight loss!